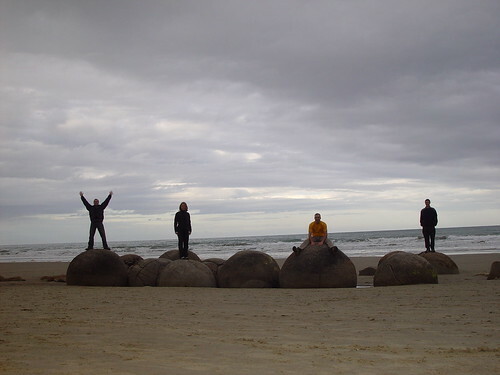 Otago coast of New Zealand has a big collection of unusually large and spherical boulders scattered along the Koekohe Beach near Moeraki and Hampden. The boulders which are found singly or in larger clusters vary in size from 0.5 metres (1.6 ft) to 2.2 metres (7.2 ft). 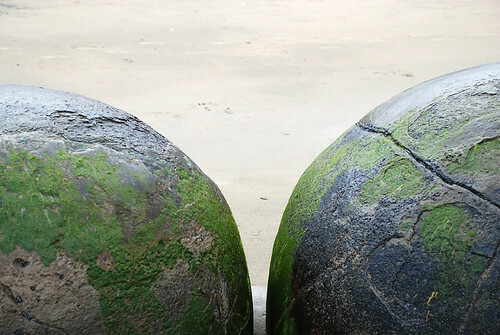 Most of the boulders are spherical however few are slightly elongated. Some are intact and some lie broken like an egg shell. The larger ones weigh up to several tonnes. 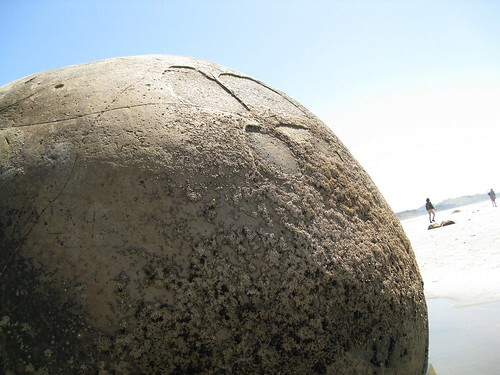 As per geologists these consist of mud, fine silt and clay, cemented by calcite and were created by concretions caused by the precipitation of calcite from pore waters in the area. 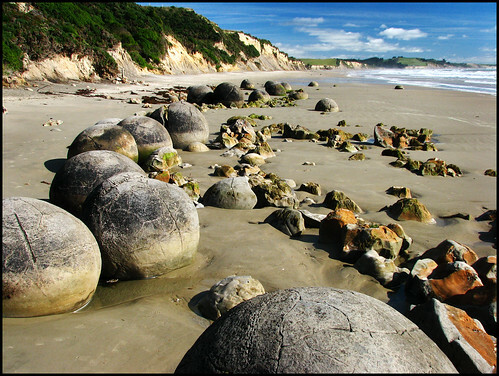 These originally formed in ancient sea floor sediments during the early Paleocene some 60 million years ago. The area is a big tourist spot and has been declared a nature reserve.